Discussion in 'Oil and Lube Systems' started by grumpyvette, Sep 18, 2008.
bolt in oil filter adapter bypass valve. Its discontinued by General Motors. Available new aftermarket by Dorman. Push down on the disc valve with a small screwdriver. Feel spring preload. Not sure of Blowoff pressure specs. 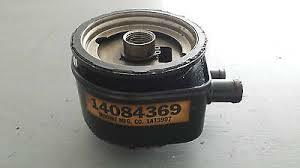 On Pontiac, Olds,& Buick V8 engine it only takes a few pounds pressure to open. Chevrolet seems to use a stronger spring to seat phelonic plastic disc tighter. 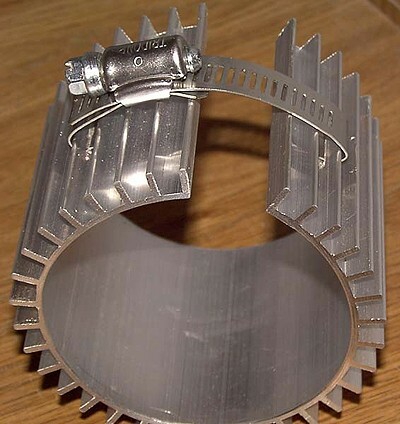 Likely going to use an aftermarket Moroso billet aluminum oil filter adapter with no bypass valve on my 410. I recently went out to the shop and started looking for the correct oil filter for a buddies car, now I have several dozen different oil filters on my shelves simply because over the years I've owned several cars or worked on several cars and make it a habit to buy oil filters in multiples and oil by the case , but that has now resulted in having dozens of assorted oil filters for cars that I or my friends may or may not still own, and as a result at times I find that the oil filter I pull off a car may or may not have a ready replacement on the shelf, which usually results in a trip to the local auto parts store for a new filter and yet one or two more filters sitting on the shelf for later use. in fact they were the length of the long oil filter ,and believe it or not the combo of the longer oil filter and finned cover dropped my oil temps an additional 5 deg F , EASY TO PROVE by simply removing and replacing the slip on finned cover several times after keeping detailed records while cruising the interstate at a steady 70 mph (not a big difference but for $20 well worth it! 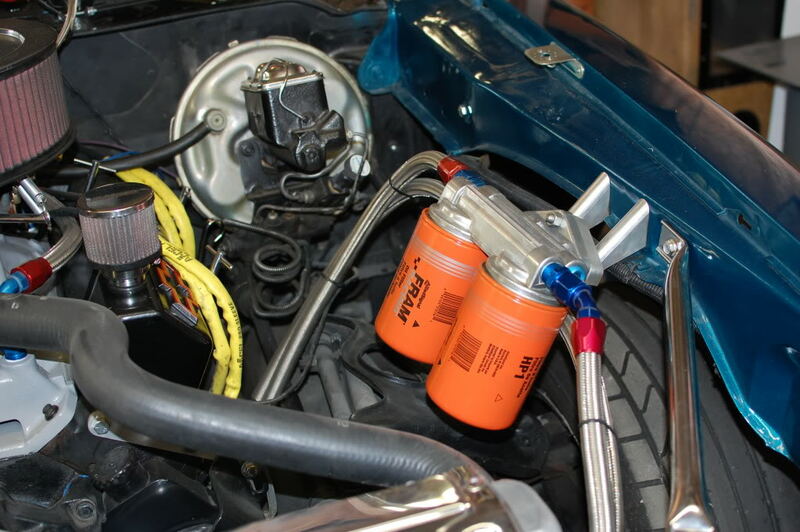 I find it rather amazing that many guys (even a few corvette owners) don,t realize that the oil cooler between the block and oil filter does remove a noticeable amount of heat from the engine oil, or that in some cases that they even have an oil cooler factory installed. 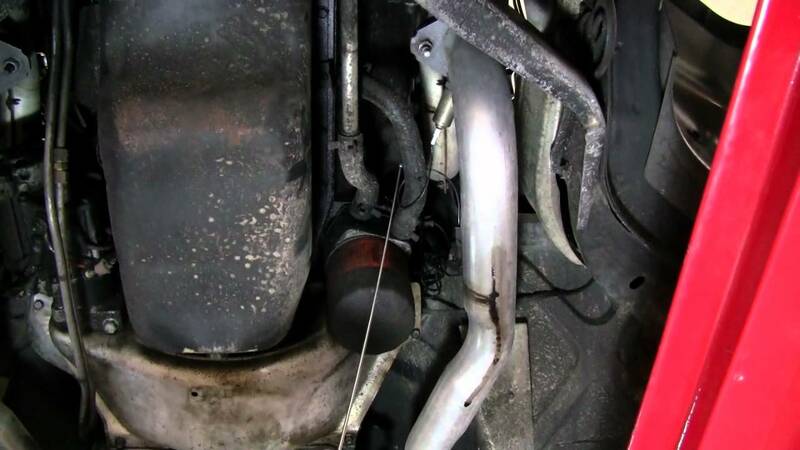 ITS OIL FLOW that absorbs and initially transfers heat away from the bearings and valve train not coolant. I changed the Oil and Filter on my 1987 C4 Corvette Convertible today. I filled it with Castrol Edge Synthetic with Titanium 10w30. I have a couple of K&N 2-quart Oil filters HP -6002. A copy of the AC Delco Chevy Truck 2-quart filters. I was using K&N HP3002 Prior . The HP 6002 FITS MY VETTE. I never lowered the car like most have. The C4 convertibles sit higher than the coupes did stock because the C4 convertibles have a Giant bolt on X - brace to stiffen the chassis frame. Ran the car for 1/2 an hour. Oil temp to 200 F.
At 4,800-5,200 Rpm garage parked I have 68-70 psi Hot oil pressure . Dont recommend trying on lowered coupes the 2-quart filter. 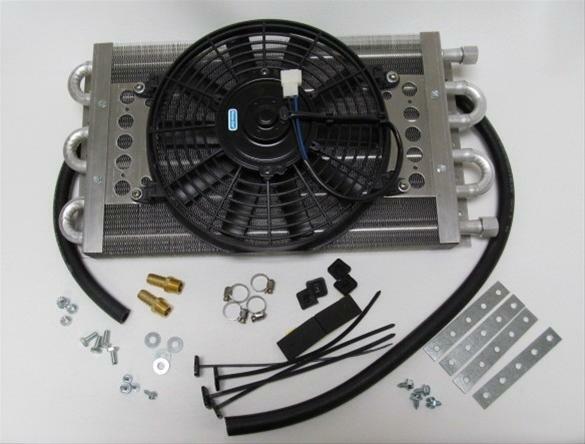 I have the Z52 Oil cooler also. computer Hard Drive. That's where I got the one in the photo. Fran always take a beating Grumpy. I buy K&N for all of my vehicles. But the Wife's 1999 Honda CRV I just buy a Fram Orange filter for $2.99 from Wally world. 285,000 miles on it now. Still runs better than new. I used to run Fram Racing Filters on the TA 24 years ago. Never had an issue. I remember cutting them open to inspect for bearing rabbit material. Was a top notch filter. Think that Oil Bypass valve is most important. That fails all oil is pushed through the filter. Know a K&N will flow enough. Full flow does not exist. It's an oil filtration bypass system. On the gas the oil filter is bypassed 100%. I'm simply going to point out a tip the smarter guys may feel is worth following up on. even at discount store prices you find youll pay more than if you order on-line. of on-line parts is worth the extra effort. After many years of designing and testing racing oil systems and related components, we've collected a good deal of information to determine what's most important to oil filtration. Our conclusion was Total Filtration Time! Many filter manufacturers stress the importance of filtering some of the smallest particles known to man out of your engine's oil. You've probably seen or heard them talk about "micron ratings" of 10 or less when talking about a filter's efficiency. Moroso engineers have determined, with the help of research performed by filtration technology experts, that particles smaller than 20 microns in diameter are not large enough to produce engine wear. Furthermore, Moroso engineers have also found that filters with extremely low micron ratings create an excessive pressure drop across the filter. They can be so restrictive that the filter by-pass valve can open. And with the by-pass valve open, NO FILTRATION occurs, and you have no way of knowing! 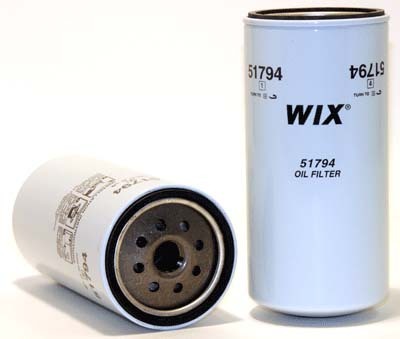 To maximize filter performance, Morose Racing Oil Filters have a rating of 27 microns, which produces a maximum initial restriction of only 2.5 psi when tested to SAE [J]806! The result is less pressure drop, more flow, less oil by=pass and maximum filtration performance that's so important in severe racing conditions. Filtering out extremely small particles (20 microns or less) is fine for passenger cars with 10,000 mile service intervals�but not for racing or high performance use! 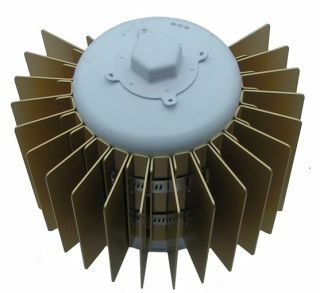 Low micron filtration reduces oil flow and pressure, causing the by-pass to open, and eliminating all filtration. Moroso's 27-micron element design [e]nsures full filtration with minimal restriction under the most severe operating conditions! I found this online this week. 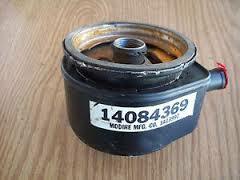 I bought a Moroso 24260 Racing Oil Filter for the 1987 Corvette. Already have a Moroso Oil filter bypass blockoff billet aluminum plate on it. Made it work with the factory Z52-Z51 oil cooler. yes they still require frequent replacement but they tend to do a better job, over the same time frame. to enhance cooling and gain ground clearance. I had one of those 2 quart filters on the 87 Corvette. Pulled out of my drive. Hit a low spot. Knocked the 2-quart filter off. Broke the stock Chevy oil adapter off the block. Used my Moroso Billet aluminum bypass block off plate. Mounted up the Z52 oil cooler. 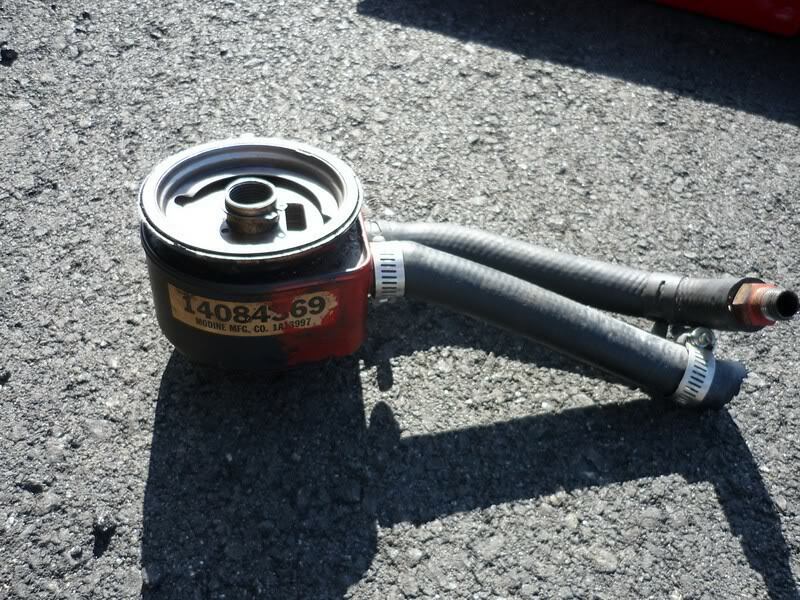 Tall 5.25 inch K&N HP 3002 Chevy 1 quart I put back on. Lost 5 quarts instant when I knocked the 2 quart filter off. Been 3-4 years I have been using the Moroso Oil filter Block off adapter plate. I damaged the stock oil cooler also. I had a spare Z51- Z52 oil cooler put away I bought maybe 10 years back. Oil cooler is rare now Grumpy.